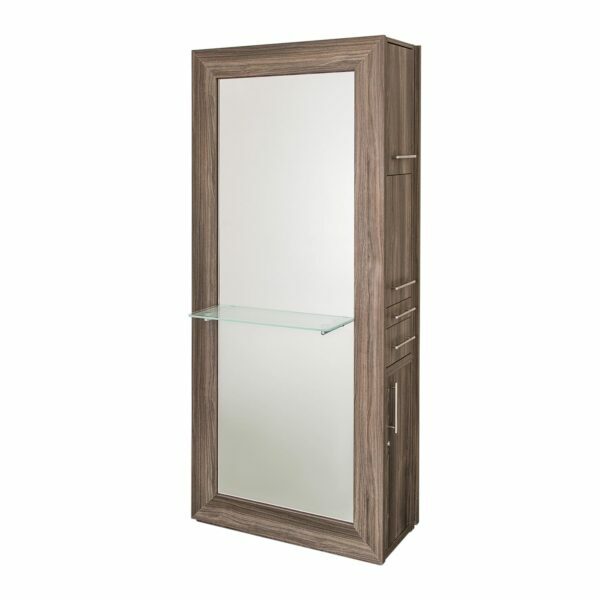 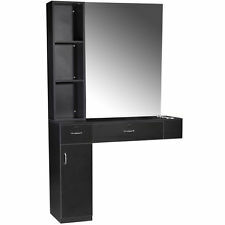 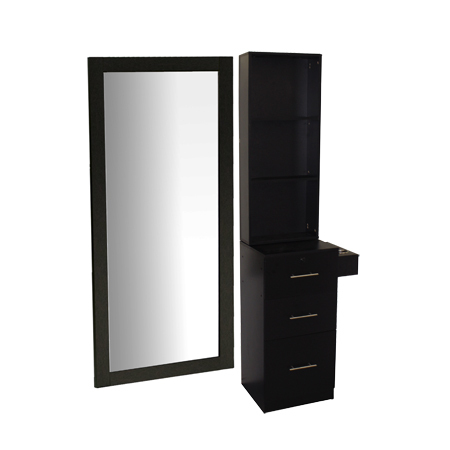 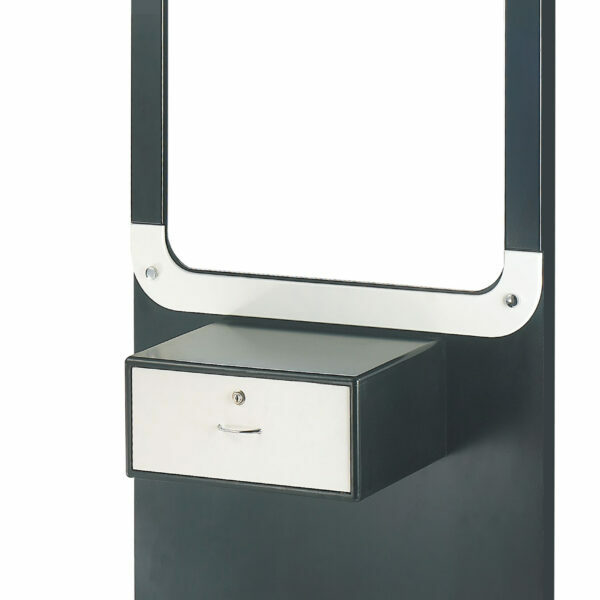 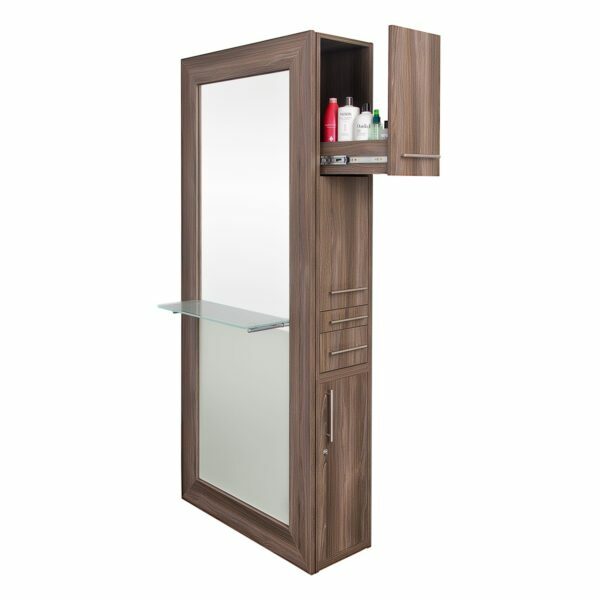 A beautifully designed double-sided styling station with Walnut laminate texture finish. 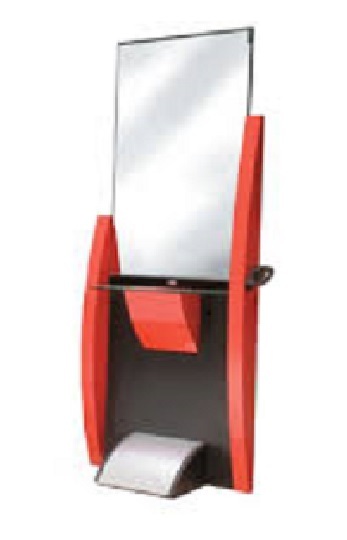 Station has chrome fixtures and footrests. 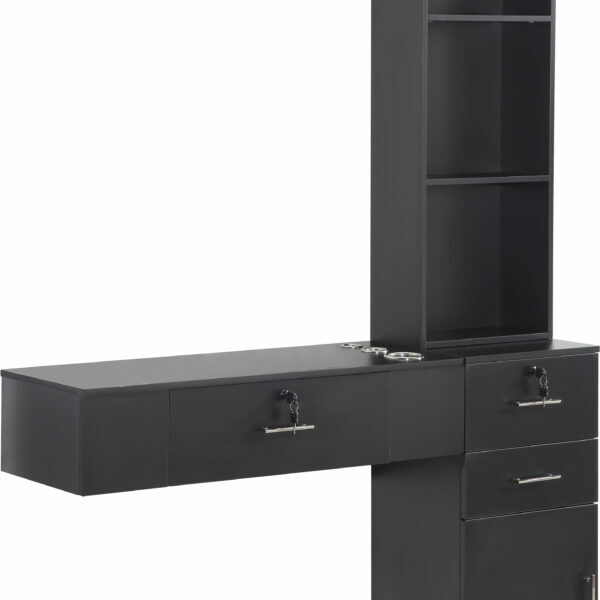 There are five shelves between each side. 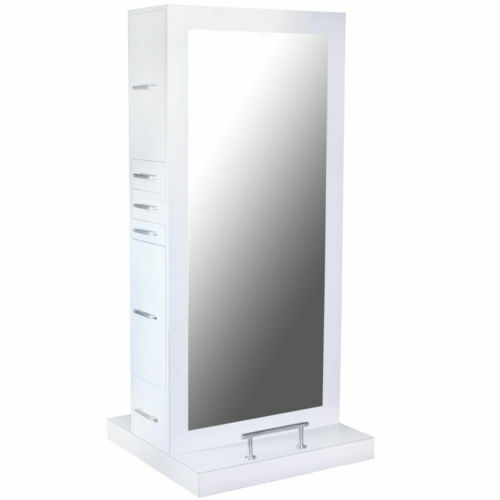 Two of the shelves have separators so each stylist can have their own space. 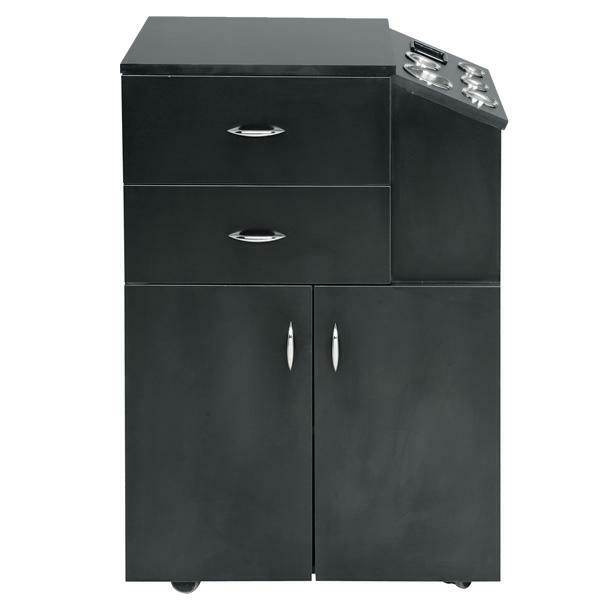 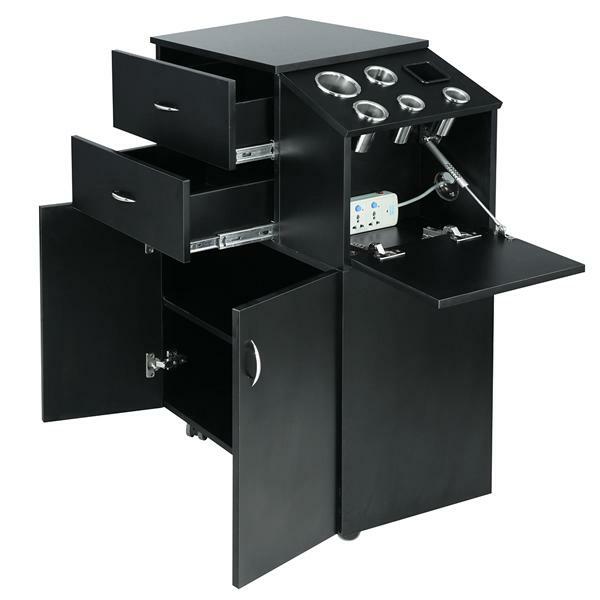 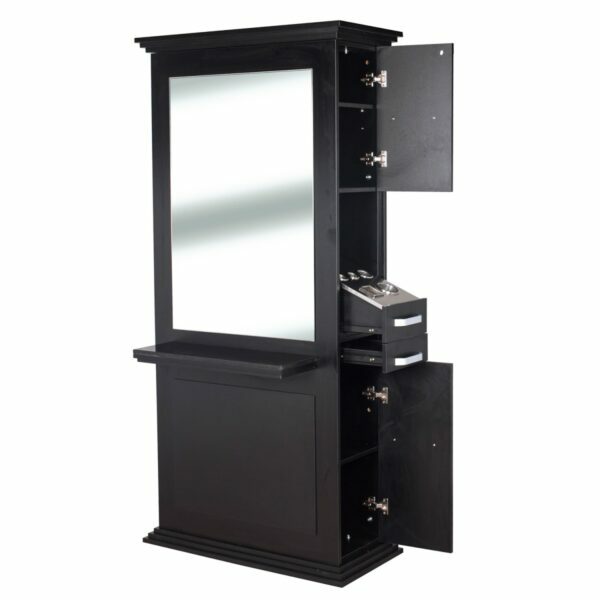 This piece of salon furniture is very convenient and space-saving! 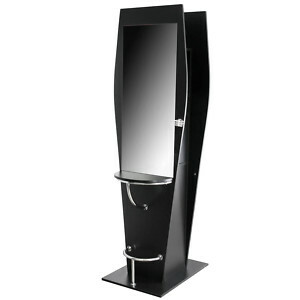 Perfect for serving as a centerpiece for any salon.